The following is taken directly from the Operational Health website. 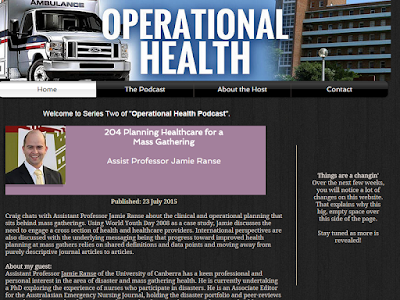 Craig chats with Assistant Professor Jamie Ranse about the clinical and operational planning that sits behind mass gatherings. Using World Youth Day 2008 as a case study, Jamie discusses the need to engage a cross section of health and healthcare providers. International perspectives are also discussed with the underlying messaging being that progress toward improved health planning at mass gathers relies on shared definitions and data points and moving away from purely descriptive journal articles to articles. 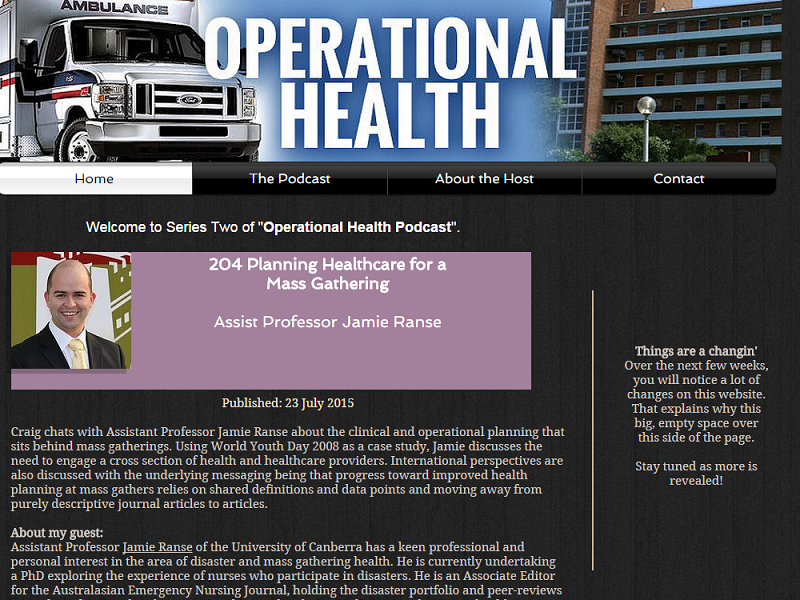 Assistant Professor Jamie Ranse of the University of Canberra has a keen professional and personal interest in the area of disaster and mass gathering health. He is currently undertaking a PhD exploring the experience of nurses who participate in disasters. He is an Associate Editor for the Australasian Emergency Nursing Journal, holding the disaster portfolio and peer-reviews a number of national and international journals relating to disaster and primary health care. Jamie remains engaged in the clinical setting as a casual RN at the Emergency Department of Calvary Health Care ACT.